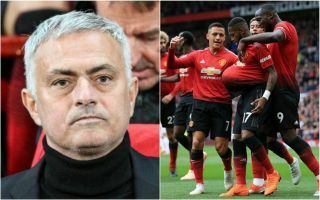 It’s been a far from ideal spell at Man Utd thus far for Alexis Sanchez, and reports claim that the Chilean forward is eager to secure an exit from the club. The 29-year-old joined the Red Devils from Arsenal in a swap deal in January, with Henrikh Mkhitaryan heading in the opposite direction to sign for the Gunners. Although his quality in the final third coupled with his work ethic and determination seemed to be a perfect fit for Jose Mourinho, it hasn’t worked out as planned. Sanchez has managed just four goals in 30 appearances for Man Utd, and given the reported wages that he earns, with the Express suggesting that he makes a staggering £500,000 a week, that’s clearly not the level of return that the club were hoping for. Now, according to The Mirror, the Chilean international wants to quit Old Trafford after being snubbed by Mourinho against Young Boys in the Champions League this week, as he didn’t even make the match-day squad despite it being confirmed later on that he wasn’t injured. It’s added that Paris Saint-Germain is his preferred destination, but given that they have a world-class attacking trident in place already with Neymar, Kylian Mbappe and Edinson Cavani, it’s difficult to see how Sanchez fits in there. With that in mind, coupled with the fact that United will surely remain desperate to see their heavy investment and faith repaid, it’s difficult to see an exit materialising in January as perhaps they’ll give Sanchez until the end of the season to prove his worth. However, should his struggles continue, it could then be the right time to admit defeat and cut their losses, especially if as the report suggests, he’s eager to move on himself.